After weeks of school tests, drama rehearsals and play performances for one daughter, dance recitals for the other, flu circling like a cloud over the house, and some musical beds with the toddler, my wife and I wholly accepted the fact that we were battle weary. In the privileged position to seek out a family holiday to get some much-needed rest we spun the globe for options.Europe (too late into summer), Mozambique (malaria paranoia for the youngest), Kruger (our go-to standard for most holidays), and Namibia (three kids, one car, 3000 km) was hardly a good fit with battle fatigue. There was only one choice left for us. Mauritius. A place where it’s just about close enough to seem attainable, and you are expected to relax. No early game drives, no giddy bi-planes, no potholes. More the scent of aromatherapy oils and sound of swishing palms. My three daughters (aged 3, 8 and 12) each packed their different personalities of which the youngest had by far the largest suitcase. Our last flight from Hoedspruit to Cape Town had filled us with dread after an MSG spike from a packet of barbeque Fritos. Fortunately, breaking the trip via Johannesburg and arriving at 4 pm helped with any potential toddler burn out. Alternatively, the Cape Town flight arriving at 9 pm with a 90-minute transfer would have the same effect as the Fritos. 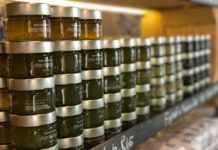 In seeking a little luxury to rest two worn-out parents we were looking for something updated and all-encompassing for five different needs, and had heard about Trou aux Biches through friends. 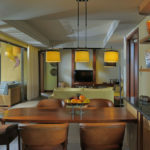 Completely rebuilt several years ago, the Beachcomber Group had spent more than R1Bn in updating the property. 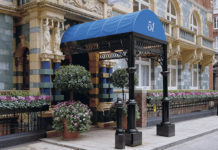 The hotel was all but knocked down in 2008 and rebuilt until its opening in November 2010. 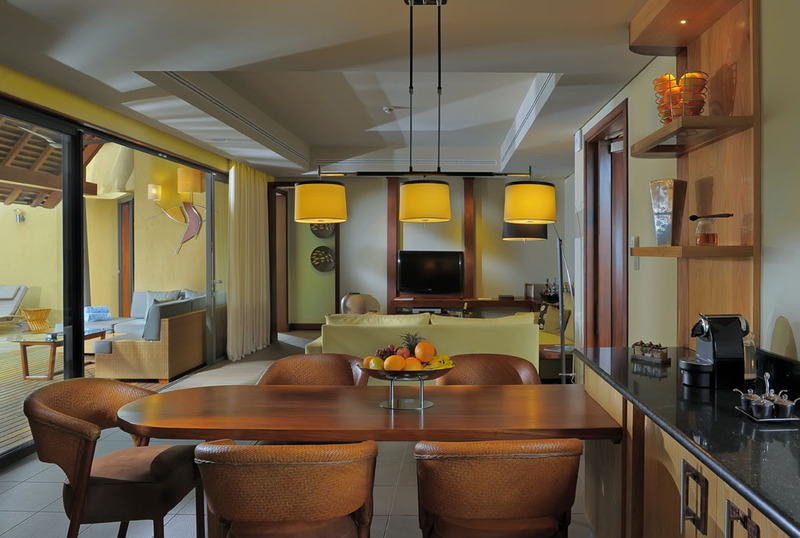 With 306 suites, 27 villas, and 100 pools, it’s the biggest in the Beachcomber stable able to handle as many as 900 guests supported by 750 staff. 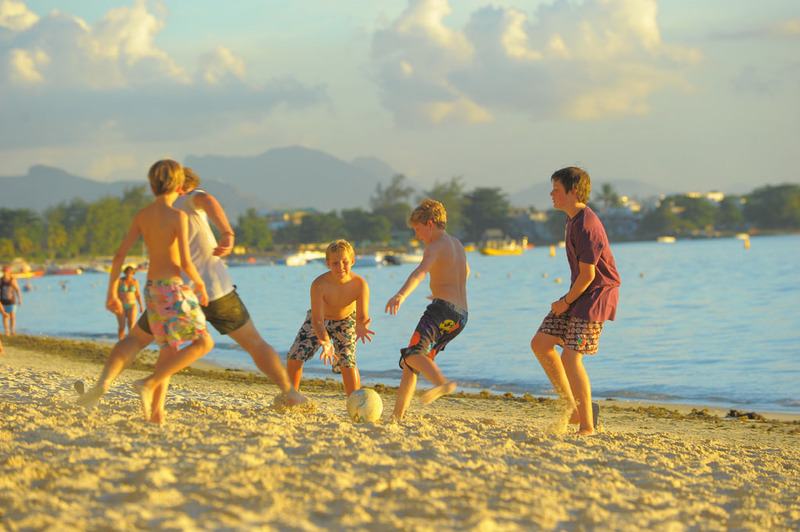 The 800m stretch of white sand beach is a good one and, the truth is, they can vary in Mauritius. Hotels may all tout postcard-perfect beaches but how many coral cuts you can receive is naturally not in the brochure. 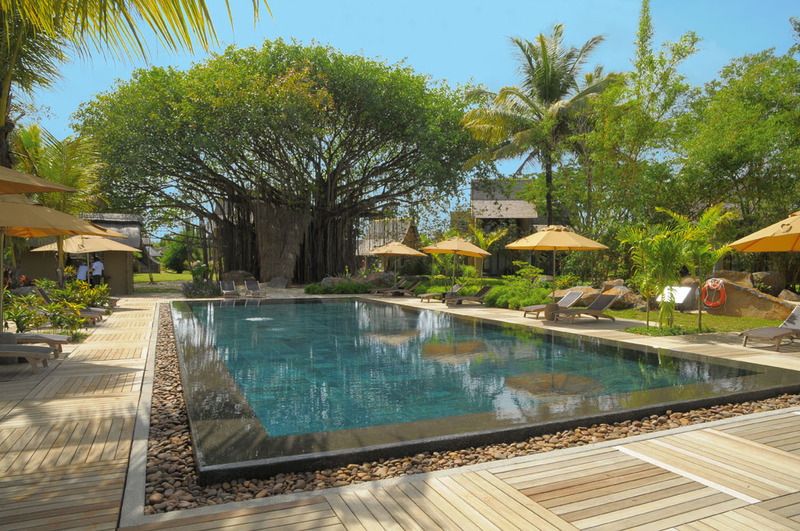 And while the colour of the sand and temperature of the water was perfect, one of the things that struck me most about Trou aux Biches were its gardens which were immaculate, hosting six garden pools set away from the beach, and therefore very quiet, creating our own private sanctuary. The main swimming pool has a wide shallow border, less than a foot deep, which allows for toddlers to paddle, fall and play freely, and then a warmer inner pool. This genius stroke buys lots of time. The boathouse sits beach-side in the middle of the resort next to the pool and the staff there were warm, witty and on their service game. 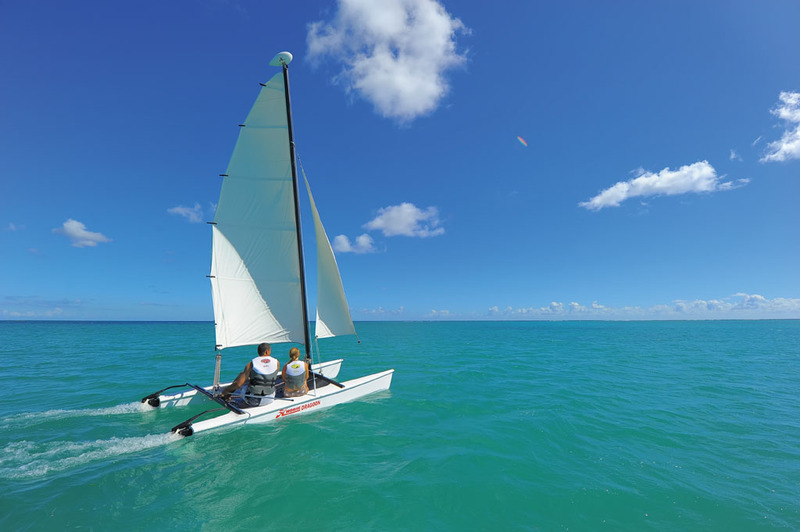 Endless water-skiing, stand-up paddle boards, catamaran this should be hobie cat, not catamaran sailing, canoes and paid-for parasailing and banana boat rides. We explored them all. 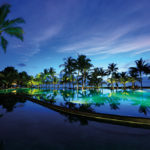 We split our stay to try two different aspects to the resort. For the first half, we stayed in a two-bedroom villa, luckily serviced by our own butler, Rajeev, who managed the villa and any drinks, meals, special requests and housekeeping. A humble Mauritian soul that my kids warmed to immediately. My middle daughter went so far as to say she wished he was her uncle. 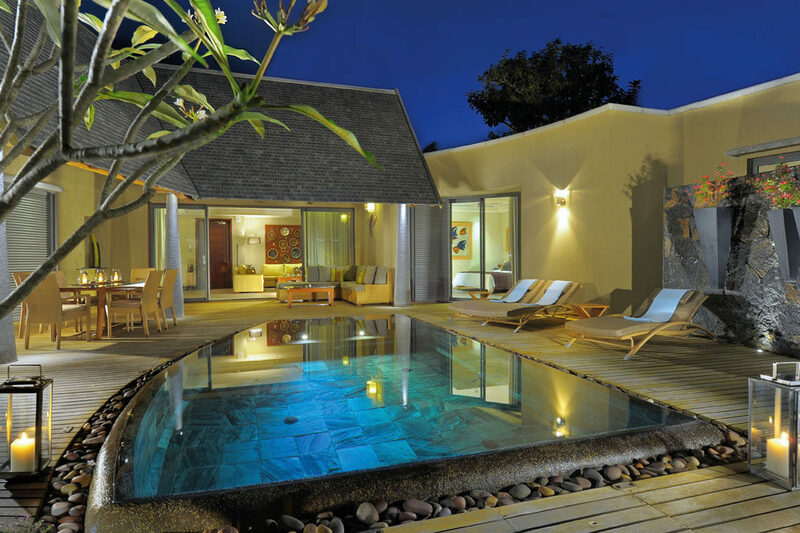 The villa has its own pool and a braai, and Rajeev and a chef will cook a traditional Mauritian supper with the half board package. Great if you need a break from the buffets later in the week. 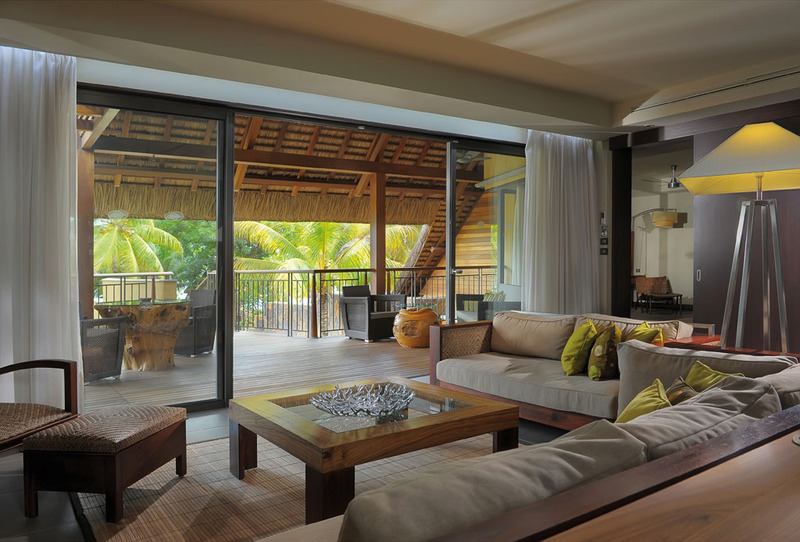 For the second half of the stay we moved to a beachfront suite with pool – as a writer, one perspective is never enough. This was a real treat and, in some respects, an altogether different holiday. The villa was about service, luxury, privacy and the gardens, but the beachfront was all about the palm trees and the ocean, keeping us outside until sunset, sipping wine and watching the kids play on the deck, in the pool, on the sand, and in the sea. We hardly even noticed the room to be honest, though the outdoor shower is worth a mention. 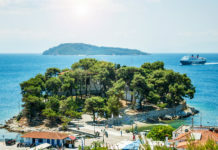 When it comes to dining, there are six restaurants, with themed buffets, as well as Thai, Indian and Italian restaurants to accompany two beachside restaurants for lunch or dinner. For families, the buffets at L‘Oasis are best and there will always be something for kids, pizza, pasta, chicken, fish, and salads. And for entertainment, there’s fire dancing, Bollywood nights, sega dancing and more, which our “trio” insisted on staying up to watch each night. 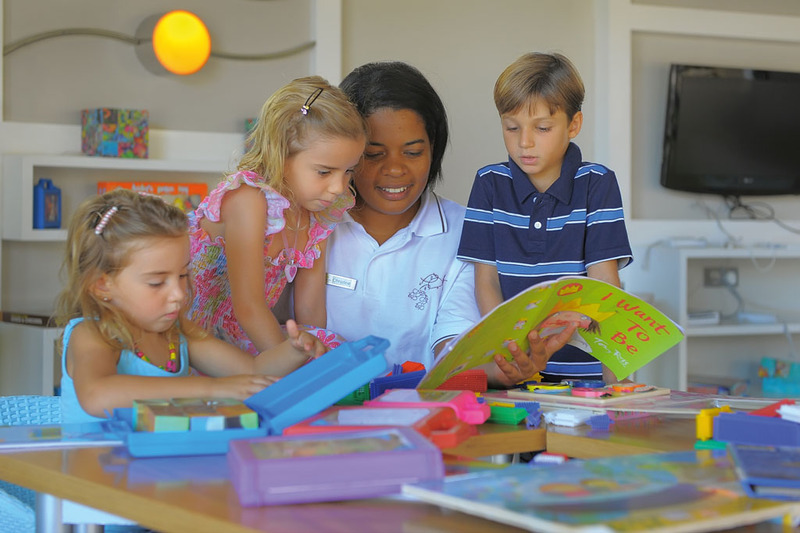 The Kids Club, for children aged 3 to 12, lays on a great schedule in a very bright environment, with some of the open plan rooms spilling out onto a sandpit, play zone and splash pool. 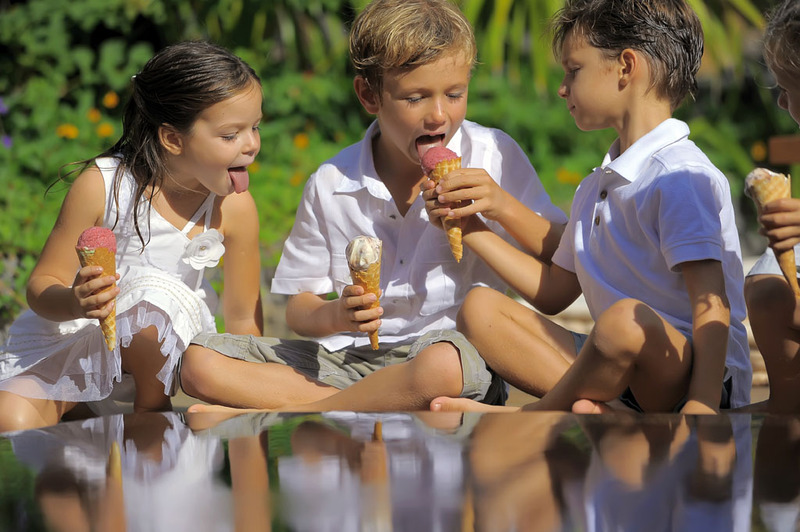 Children are taken to all the amenities in bursts throughout the day and can have pancakes at 4pm, lunch at the restaurant and their own buffet in the evening. Perhaps most interestingly, parents with babies of 1-3 years old are offered three hours of free babysitting between 1pm and 4pm from Monday to Friday, so couples have a moment to breathe and connect. Open exclusively for teenagers; there is also a Teens Club which provides the perfect setting for them to socialize under the staff’s discreet supervision. The rand has a mind of its own right now, and Mauritius will always cost a bob or two. 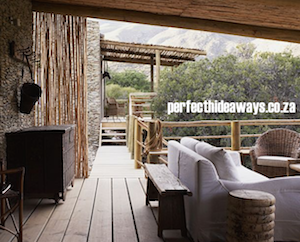 I’m the biggest advocate of local is lekker, and there is no shortage of truly amazing boltholes and hideaways in our spectacular and diverse country. However, sometimes it’s good to get away, to experience new cultures, to be on a tropical island, and, well, to be spoilt rotten. Especially when you’re a parent. One thing I can say about a local holiday is that you’re always connected to what you know all too well; The news, the locals, the culture, or the geography. And all of those are worth celebrating and as South Africans that “stay”, most of us certainly do. Although travel writing has a fancy label, I have to explain to my friends that I’m still a working family man, and everyday life, love, (security) and parenting gets on top of you. Fortunately, there’s a place where you can shake off the layers of responsibility, find some stillness and clarity again, and not find maths homework and tap dancing rehearsal so surprisingly irksome. I will hold that thought, and the sound of swishing palms, throughout the final term. 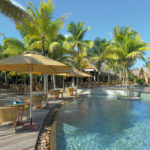 Mauritius is a tropical island with average temperatures rarely dropping below 24 degrees Celsius, and while there is rainfall year-round, it tends to fall in short, sharp showers. The sea temperature remains warm enough to swim in throughout the year. January to April is the hottest and most humid time getting into the low 30’s. 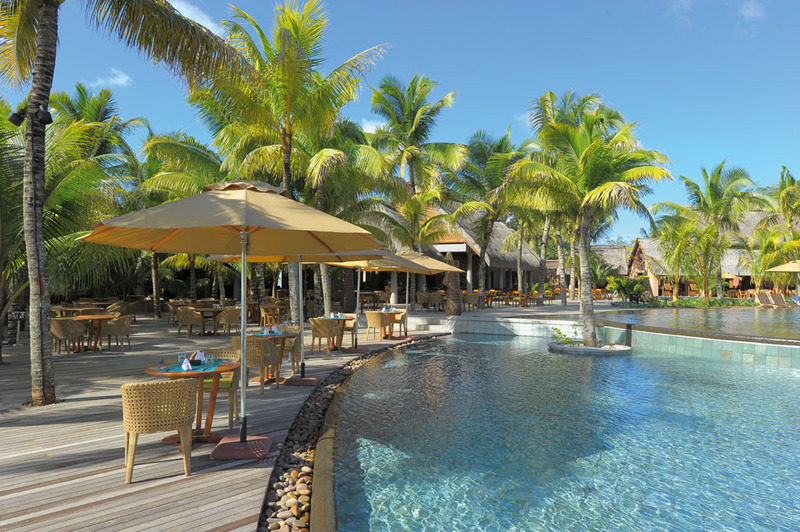 May to August are the ‘cooler’ months in Mauritius, although the day time temperatures remain warm at around 25 degrees Celsius on average. The weather is ideal for children and those who don’t like it too hot. At this time of the year, the west coast of Mauritius is a couple of degrees warmer than the East, due to the east coast trade winds. 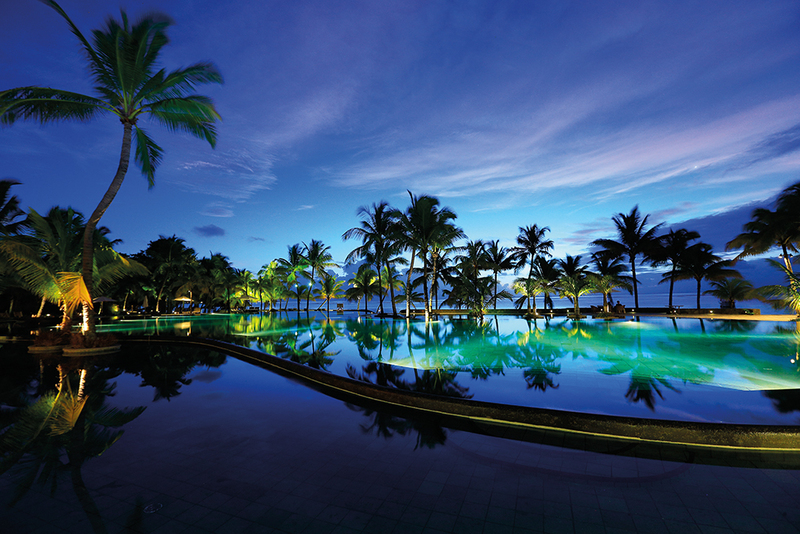 September to December, traditionally a great time to visit Mauritius, the temperatures are warmer, between 27 and 30 degrees Celsius, and humidity is not at its peak. Vibrant and colourful food markets in Port Louis or Flaqc. Next articleThe world’s best. On our doorstep.